Always talk to a lawyer about whether or not your case is worthwhile. There are a lot of things to consider. A good attorney will be able to ask the questions necessary to evaluate whether it’s a good case and then pursue it if it is. Any person who enters on the property of another should enter the property without a risk of harm to himself or herself and the duty of a property owner is to make sure of that. There has been recent changes in law stating that a property owner who undertakes a matter such as snow removal, for example, and doesn’t fully follow through with it, may be liable. Anytime a property owner undertakes a matter, it should be done in a way that’s safe and reasonable for anyone coming onto the property. 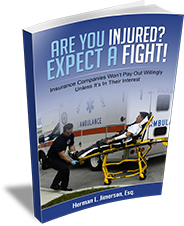 What Steps Should I Take After Being Injured In A Premises Liability Accident? The first thing you should always do after being injured is get to a hospital to determine what your injuries are. Then, call your lawyer to make sure that facts are being preserved. You need to have that lawyer really research the issues, get your medical treatment, and then pursue damages. How Long Will It Typically Take To Go Through a Premises Liability Case? Most cases don’t go to trial. Most cases are settled well before the case is filed for trial. However, if it does go to trial, you can be looking at waiting for a year or more. Is The Statute Of Limitations For A Premises Claim The Same As A Typical Personal Injury Case? The same statute of limitations are available in all negligence cases and that limit is five years. However, if something occurs that results in death, then the statute of limitations may be shorter. In Missouri, that statute of limitation period is three years. For more information on Viability Of A Premises Liability Claim, a free initial consultation is your next best step. Get the information and legal answers you are seeking by calling (314) 786-3536 today. Home > How Do I Know If I Have A Viable Premises Liability Claim?